Can we change layout of Multiple Choice field? Hi! I need to add a multiple choice field that has a quantity selector on the right. Is this possible to achieve with any plugin or CSS? I attach a photo on how I need it. Unfortunately, we cannot attach additional fields to the Multiple Choice field items. 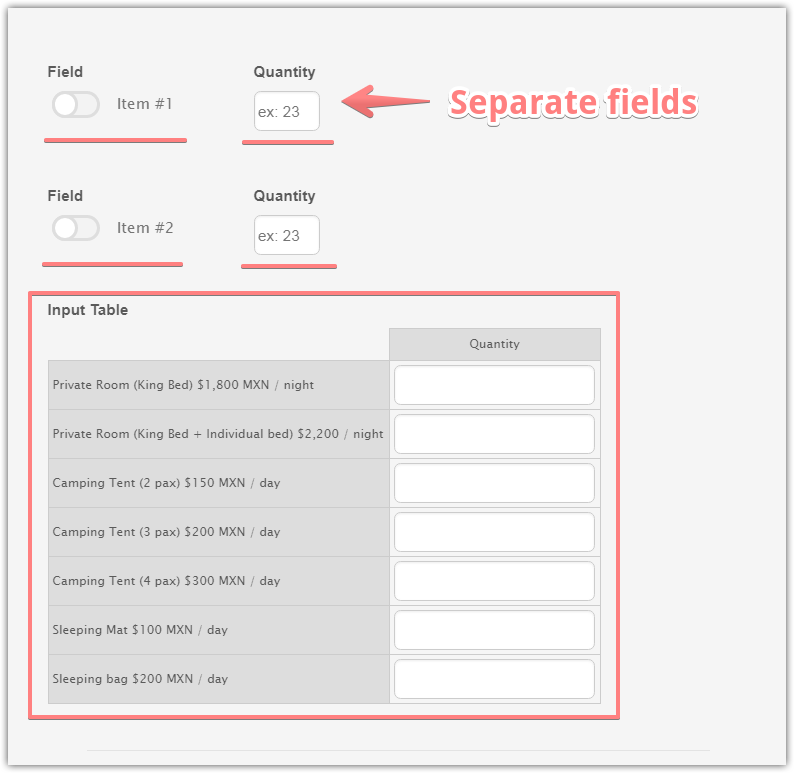 You may consider using the separate fields, or an Input Table field type. 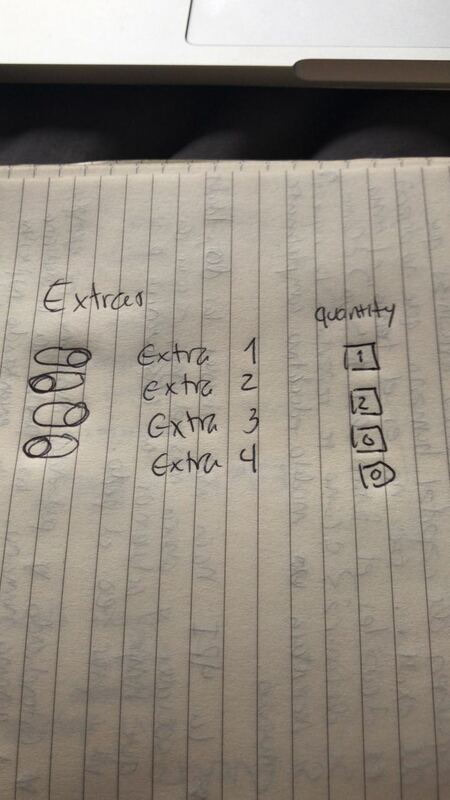 And the Input Table will be able to calculate the total depending on the quantity field? Yes, this is possible to use the Input Table in calculations. For example, set the Input Type to the Numeric Text Box to accept the quantities. Then, use it in the calculations.